2" by 1/2" Reducing Couple, aka, pvc bells. Sch 40 (sized with bushing). 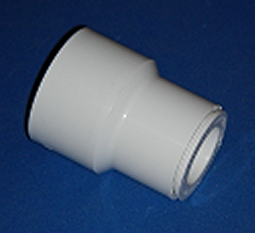 For a Sch 80 one piece part, see 829-247.